Summer just would not be summer without ridiculous amounts of ice cream. My mom never routinely kept ice cream at home, so getting an ice cream cone was definitely a treat to be savored. Growing up, there was a little soft serve stand on a corner in our little town and we made frequent visits once the weather got warm. It was a crowded hangout after little league games, where everyone knew everyone. My order was always the same – a chocolate and vanilla twist with chocolate sprinkles. It’s still what I prefer to this day. While I can keep my own freezer stocked with as much as ice cream as I like nowadays, I typically fill it with homemade creations and only a chosen few store-bought pints. I have a few favorites, but I really enjoy experimenting with new flavors. This toasted coconut ice cream was made on a bit of a whim; as it turns out, that whim was a magical decision. This is one of the best homemade ice creams I have ever made. 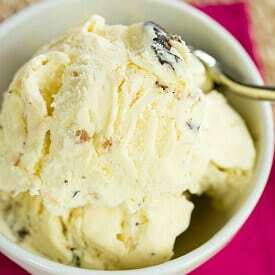 There are multiple layers of flavor in this ice cream, which gives it tremendous depth and such a smooth flavor. Unsweetened coconut is toasted and then steeped in a cream, milk and sugar mixture. Once it’s time to strain the mixture and discard the coconut, the creamy base has been infused with a wonderfully nutty coconut flavor. 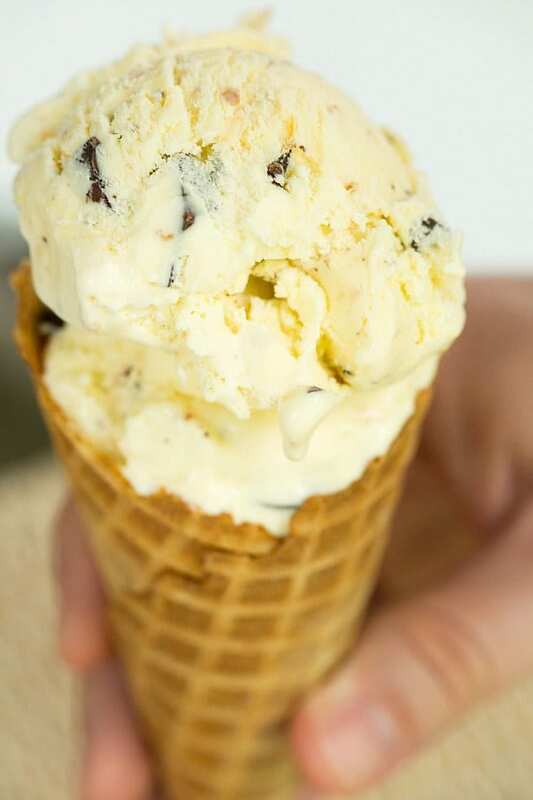 Once the custard base is churned, a small amount of toasted sweetened coconut is mixed into the ice cream, along with chunks of dark chocolate. I recently found huge 1-pound hunks of Callebaut chocolate in dark, milk, white and unsweetened in the bulk section of my favorite grocery store. Needless to say, I snatched up all of them in a matter of two seconds. I LOVE this chocolate; it’s so rich and creamy. If you can get your hands on it, I highly recommend it! The pure, intense flavor of coconut in this ice cream is almost unbelievable. It’s such a clean flavor, yet so robust. In case you couldn’t tell, I’m in absolute love with this ice cream. The coconut flavor paired with the dark chocolate is an ideal combination. If you want to go the Almond Joy route, all you need to do is throw in some almonds! Whether it’s a traditional soft-serve swirl or a homemade concoction, I hope you’ve been filling your summer with some yummy ice cream! Ice cream infused with toasted coconut, with more toasted coconut and dark chocolate mixed into the final product. In a medium saucepan, combine the heavy cream, milk, 6 tablespoons of the sugar and the salt. Place the pan over medium-high heat; when the mixture begins to bubble around the edges, stir in the unsweetened dried shredded coconut. Allow the mixture to begin to bubble again, then remove from the heat, cover, and allow to steep for 20 minutes. Strain the mixture through a fine-mesh sieve into a large bowl, pressing on the coconut to extract as much liquid as possible. Discard the coconut and pour the infused cream back into the saucepan. In a medium bowl, whisk the egg yolks to break them up, then whisk in the remaining sugar; set aside. Place the cream mixture over medium-high heat until it barely begins to simmer, then reduce the heat to medium. Ladle out a scoop of the hot cream mixture and, whisking constantly, add the cream to the bowl with the egg yolks. Repeat with another ladleful of the hot cream mixture. Using a rubber spatula, stir the cream in the saucepan and gradually pour the egg mixture from the bowl into the saucepan. Cook the mixture over medium heat, stirring constantly with the rubber spatula, until it thickens and coats the back of the spatula (it should register 170 to 175 degrees F on an instant-read digital thermometer), about 1 to 2 minutes longer. Strain the hot mixture through a fine-mesh sieve into a clean bowl. Place the bowl into an ice water bath and stir occasionally until the mixture has cooled. 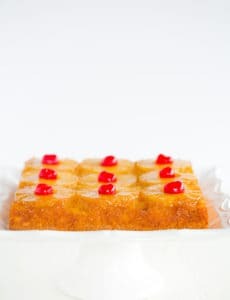 Cover and refrigerate until it has thoroughly chilled, at least 2 hours or overnight. 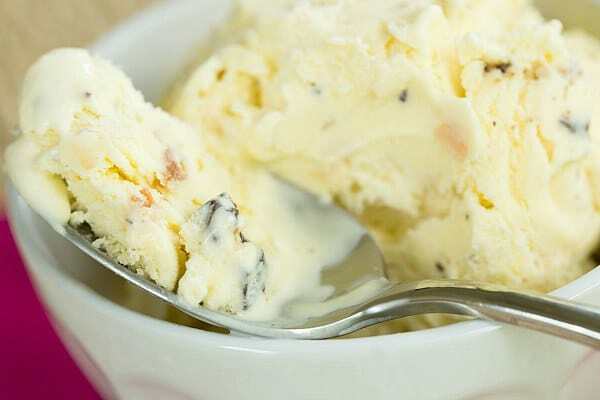 Freeze the mixture in your ice cream maker according to the manufacturer's instructions. Add the sweetened dried shredded coconut and dark chocolate chunks during the last minute or so of churning. Place in a freezer-safe container and store in the freezer. I made this recipe last summer and absolutely loved it so I decided to make it again this summer! For some reason, I was having trouble finding unsweetened coconut though, so I’m using sweetened for the flavor in the base. Do you think that will change anything? I’m hoping not, as I have a double batch steeping right now!! Hi Kimberly, I think it should work okay. Enjoy again! I was sssooo skeptical…? Coconut Ice cream,…HMMMM.. but hubby LOVES coconut. But he does not like custard based…….so..here goes. I had to tweak recipe, I don’t buy 2%, so I used sweetened condensed milk and cream (1:1) 2 1/4 cups and one cup whole milk. OMG. And……. he loved it. And….yall…his mamma is a French war bride and he knows gourmet taste. I woke him up when it was ready…11 pm, gave him a big spoonful…and he grinned….said…”hmmmmm, that’s pretty good”…TOUCHDOWN!!! I made this recipe a few weeks ago and we adored it. It is definitely my favorite homemade ice cream so far. It was so rich and creamy. I’m wondering if you thing this base would work for Strawberry ice cream as well. I’ve got some beautiful, slightly too ripe strawberries that are just begging me to make them into something beautiful. Have you (or anyone you know) tried substituting some of the heavy cream with coconut cream instead of using coconut flakes? 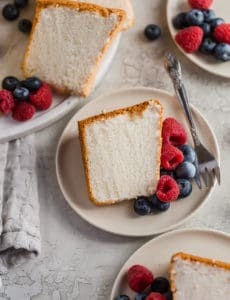 This recipe sounds so good, and I am coconut cream poor :) Would absolutely add the roasted coconut. Hi Debra, I have not! If you do, let me know how you like it! I made this and it was delicious! I don’t usually change anything the first time I try it, but this time, I couldn’t help myself! I used broken up chunks of a Lindt dark chocolate coconut bar. Ahhh!!! I received an ice cream machine for Christmas, and this was the second batch of ice cream I’ve made. It is fabulous! I didn’t expect that steeping the unsweetened coconut in the custard base would result in such wonderful flavor. The toasted coconut and chocolate add lovely extra layers of flavor in each bite. I will make this again and again, I’m sure. Made this last night for our after dinner treat!! It is now my favourite. What a great recipe. Thanks again!! 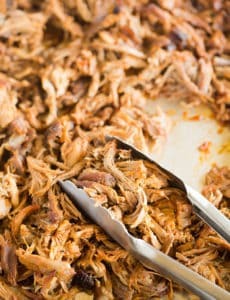 Thank you for posting all of your recipes, this is a great site! Hi Ken, I’m glad your wife is enjoying the ice cream already! That big fork is a chocolate chipper, which I purchased from King Arthur Flour (http://www.kingarthurflour.com/shop/items/chocolate-chipper). 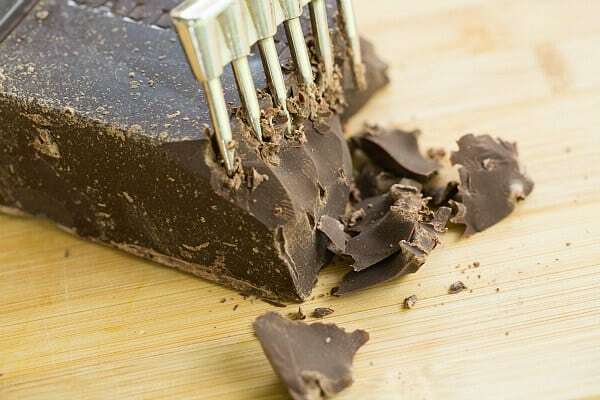 It’s great for huge blocks of chocolate! Do you think I can use 1/2 and 1/2 instead of 2% milk in the coconut ice cream? Also, have you ever tried coconut extract? Hi Gloria, I think half & half would be okay, but do recommend making the recipe without substitutions if possible, of course. I have not used coconut extract; I think the real coconut imparts such a better flavor. There is a great tool to get your butterfat calculations, search Google for Ice Cream Geek’s Butterfat Calculator.. 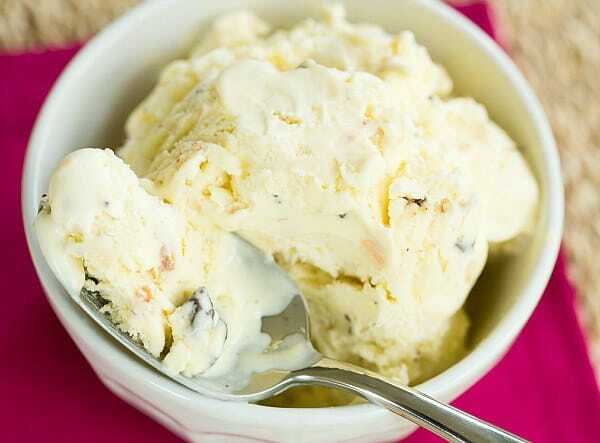 It will help you out with the amount of Cream/ Half & Half/ 2% Milk to get the right consistency for either your ice cream or Gelato.. You definitely can use Half and Half however, half and half is only 11.2% butterfat, so you would want to add some cream in there to get up to around 12-14%. For me, that is the sweet spot for all of my ice cream bases.. REAL coconut is the only way to go for this Recipe, IMHO.. The less extracts in ice cream the better..
Years ago I received the Kitchen Aid ice cream bowl for my machine but I never used it. After reading the recipe I decided it was time to venture into the world of homemade ice cream. If all recipes come out as good as this one I’m never buying another pint of ice cream. It was fantastic. All I did was follow the recipe and then followed the instructions for freezing the bowl and using it with the right size machine. 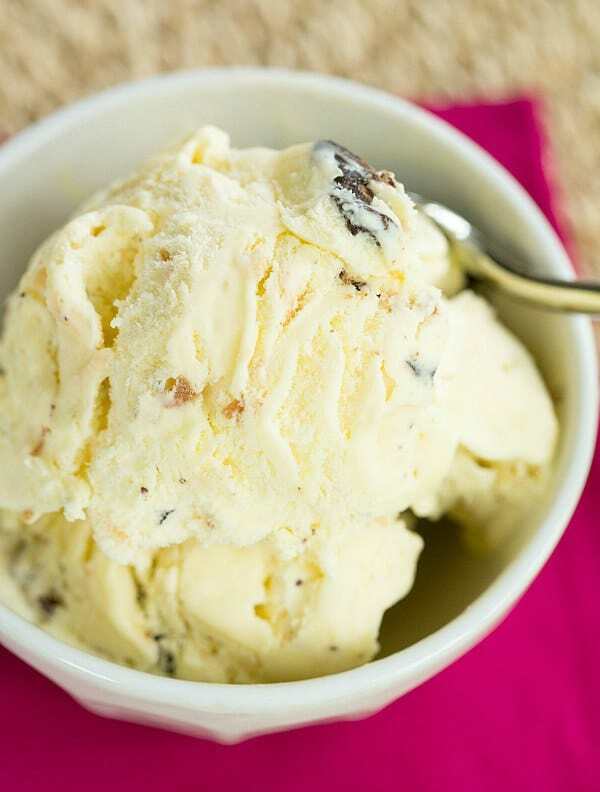 The best part of this coconut ice cream is that it taste like real coconut – no artificial coconut flavoring was added just true coconut and chocolate flavors. Wow it’s good. I took one look at this recipe and knew I had to make it!! Close your eyes and imagine the taste of a Mounds bar, only better! I have to admit that I have an aversion to hard stuff in my ice cream so I did a chocolate ganache ripple instead of the chunks but other than that your recipe rocks!! Thanks for sharing. this is a great combo! sounds delish. New to your site, and think it is fabulous! Just made this ice cream, and I can only say OMG. This is such a smooth, rich base, with an incredibly full-on toasted flavour, it is utterly heavenly. It is also the first time I have managed a fully smooth base, and I think it is down to your method, so thank you for helping me to ‘crack’ it. Cannot recommend this enough, although next time I might reduce the sugar content a little bit – personal taste though. Hi there! I run a food blog called Floptimism, and every Saturday I write a round-up of all of the amazing recipes, pictures, ideas, inspiration, etc. I’ve found on the web over the past week. I wanted to let you know that I loved this ice cream recipe so much that I featured it in my post. I’ve included the link to the post in case you’re interested in checking it out. Either way, thank you for such a delicious sounding creation! Have a great weekend! Layers after layers of exotic flavor, smoothness, lusciousness, oomph factors ! This ice cream is a killer ! And I’m dazzled by its beauty ! I love ice cream more than ever this summer. I keep trying new flavors and this sounds great! Intense coconut flavor would be such a great frozen treat! This looks so wonderful! Even better than my beloved Graeter’s Coconut Chocolate Chip! You’re an ice cream genius.